Solutions specialise in the provision of Data Protection and Storage Management Solutions. We evaluate each of our customers business requirements and work in partnership with them and the industry leading vendors to provide cost effective and scalable solutions for their environment. 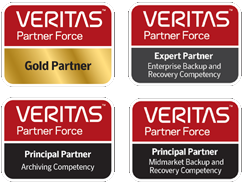 Our highly skilled team of experts are on-hand to offer you a no-obligation consultation and analysis of your Netbackup Licenses, Health Check and can provide relevant reports on their findings. We also offer Dark Data Assessments and guidance and solutions for GDPR and good data governance. © Solutions. All rights reserved.